Allison first arrived at Pegasus when she was four years old. The little girl who was unsteady when she walked sat tall and balanced on Misty, a pinto pony. The little hands that could not hold a pencil or pick up beads, held the reins with confidence. This was the beginning of a whole new life for Allison. 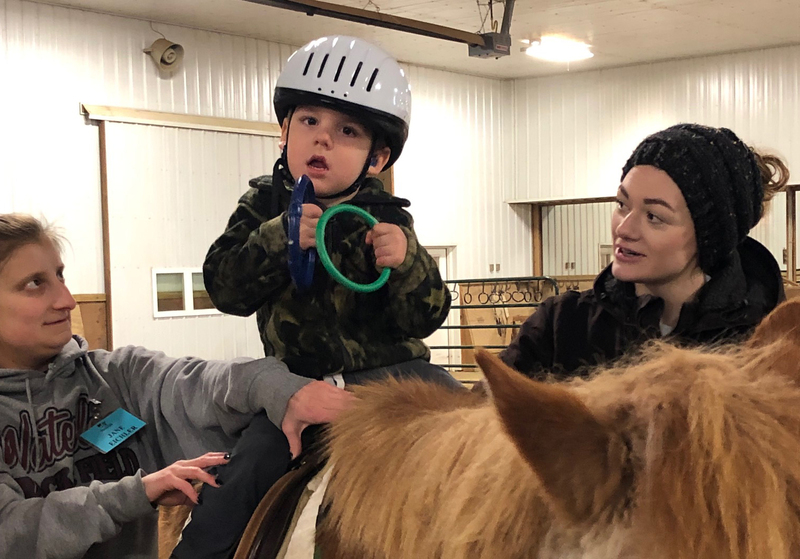 Allison was born eight weeks premature after a routine ultrasound determined that she had hydrocephalus, a condition in which the fluid surrounding the brain does not drain into the spinal column, causing brain damage. At only three days old, Allison was sent to Akron Children’s Hospital for surgery to place a shunt in her brain. Allison’s doctors would make no promises as to how much damage was done. As she grew, Allison experienced severe developmental delays. She did not sit up until she was a year old and did not walk or eat solid food until she was two. Allison’s balance, eye-hand coordination, and fine motor skills were weak. At three years old, Allison was just beginning to talk. She underwent many types of therapies, but progress was slow. Though she was intellectually capable, Allison struggled in school. Weak fine motor skills meant that writing anything took a long time. She had delayed auditory processing, so the teacher was often on to something else before Allison processed what was said before. If the teacher wrote notes on the board while talking, Allison could not listen, write, and remember what was said. She would do her papers and homework and forget to turn them in to her teacher. Socially, Allison had few friends. Her weak social and verbal skills kept Allison from forming relationships. This was the case from elementary through high school. But at Pegasus, Allison was a different person. She was not the awkward kid in gym class, or the kid standing alone on the playground. At Pegasus, she was capable and confident. She was a regular kid who knew how to tack and untack her horse and was becoming an accomplished independent rider. Pegasus was Allison’s respite from the world for one hour each week. 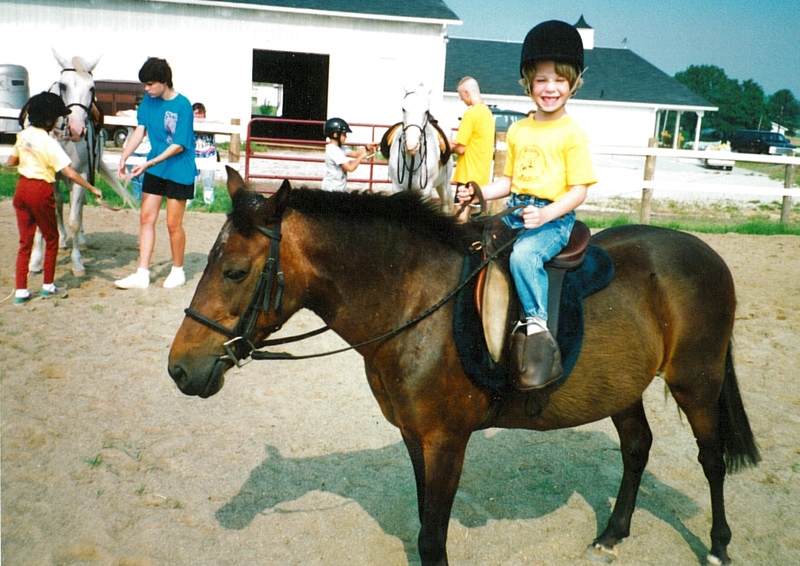 Through the years, Allison progressed in her riding skills. When she was 10, Allison became the first Pegasus vaulter. Through sheer strength and determination, Allison learned the movements for vaulting. The girl who could not walk a straight line or catch a ball, could stand up on the back of a moving horse. Allison’s successes in riding and vaulting gave her confidence and helped to counteract the frustrations she experienced at home and school. 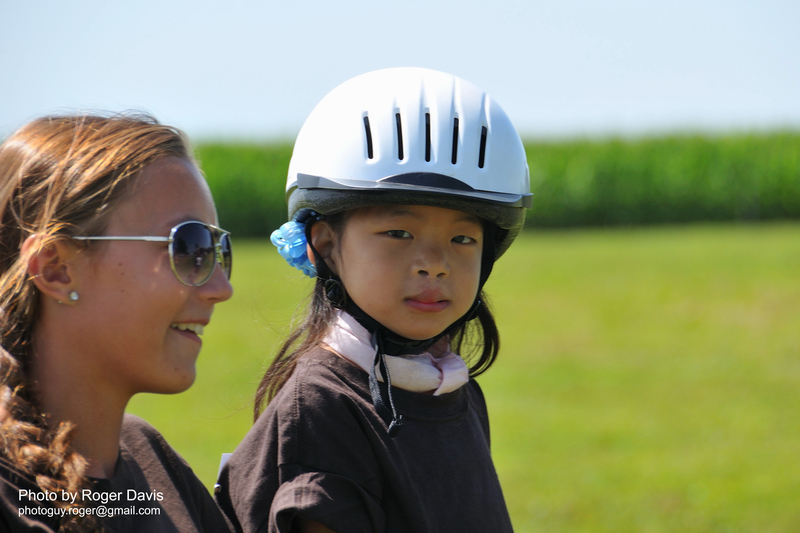 Riding and vaulting also helped Allison learn to process auditory information, follow directions and remember a pattern. It helped her sequence the steps necessary to complete a task, and remember her responsibilities with her horse. 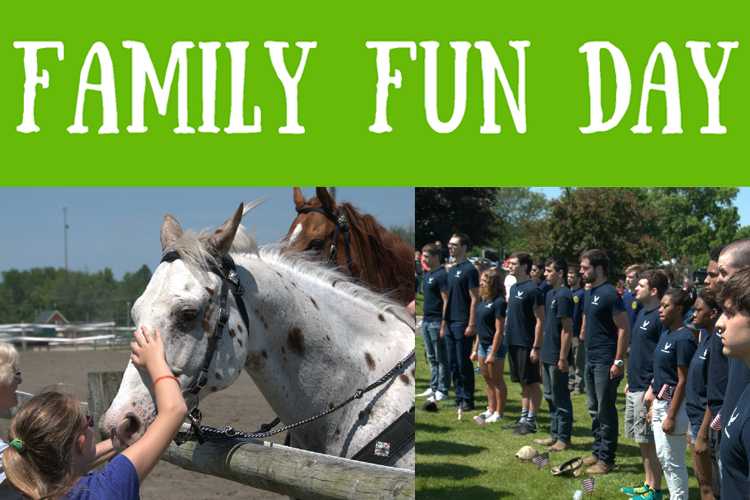 Allison began volunteering at Pegasus when she was a teenager, along with her mother and younger sister. Part of a team now, she took her responsibilities seriously and worked hard. Once again, Pegasus contributed to Allison’s feelings of self-worth. At Pegasus, Allison was needed and valued. Over the years, Allison has had numerous surgeries to repair malfunctions with her shunt. With each surgery, Allison had setbacks in her physical and cognitive abilities. And each time, Pegasus and her horses were there, giving Allison the strength and determination to recover. 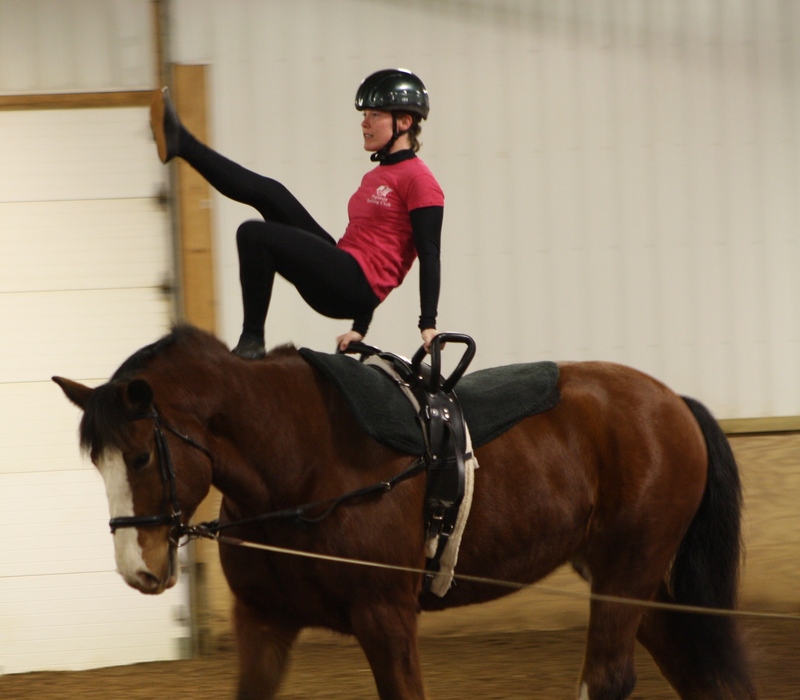 Allison’s strong desire to recover her riding skills paved the way to her recovery in other areas. After high school, Allison continued her education at community college, and once again, with mixed results. Though Allison was academically capable, she struggled with the skills she needed for success in an academic setting. Pegasus has been there for Allison several times when she needed to take time off from school. At different times, Allison has been a stable assistant and a dayhab specialist with the Wings program. In each job, Allison felt needed and valued. 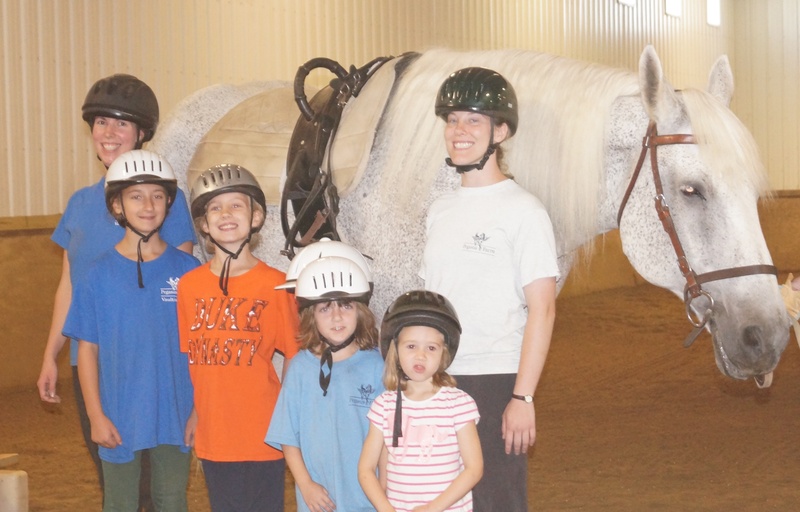 Thirty years old now, Allison is still involved at Pegasus as a mentor-level volunteer, assistant vaulting coach, and in helping with the schooling needs of various Pegasus horses. Pegasus is Allison’s safe place. It is where she has friends and is valued, respected and successful. 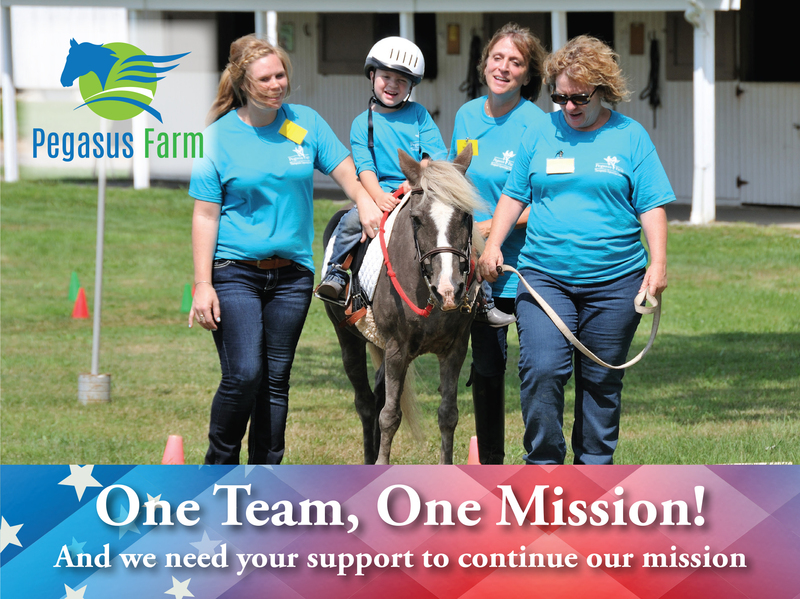 Pegasus has helped make Allison into the kind, compassionate woman she is today, and Pegasus will always be a part of her life. Make a donation today to help other students like Allison.